Again, thanks to The Lemon Tree House for the cute cards! 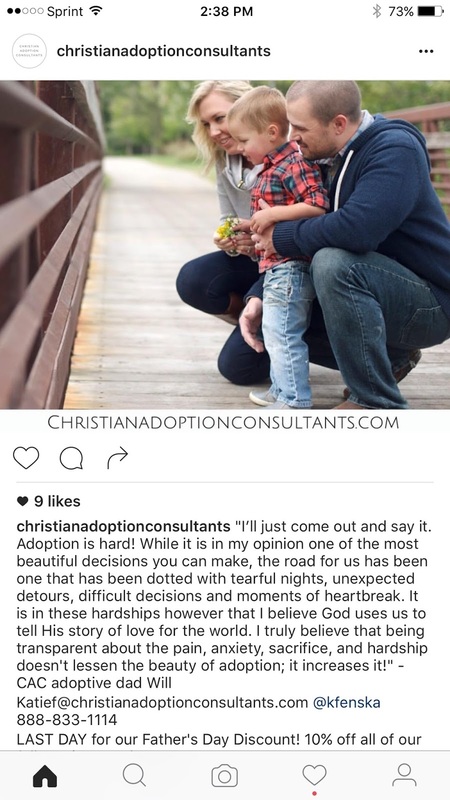 When we signed on with Christian Adoption Consultants, Casey sent me a TON of info. Over 65 pages worth of stuff. I’m SO thankful it was broken down into sections and that she told me ONLY to be focused on the home study stuff. However, I did want to read over it all and the perfect opportunity to do so was while with Zach in the car to and from our solo day for our anniversary! In going through all the info we both had a lot better understanding about the process ahead. The most concerning/nerve-wracking thing was when it comes to choosing agencies to send our book to. We are nervous about the decision to have an open/semi-opened/closed adoption and very nervous about potential drug exposure and what that could mean for our baby. It felt too heavy and like it was too much to really digest at once. We decided to just take it a stage at a time. Get through the home study b/c that was top priority and THEN work our way through the next steps. Worry as we go but only at the things we face currently…don’t get ahead of ourselves! There was a list of places in our state that offer Home Study services so I looked into them all. I called the one that appeared to be the least expensive. I figured save money whenever possible, right? The lady was VERY nice and was VERY accommodating. She said we didn’t physically have to meet and that we could just do everything over the phone/skype even. She said she was the cheapest around and would make adjustments to keep things low cost and simple. It all sounded great, but a little too great and not all that legit. I did some googling around and found quite a few negative reviews about her and her services. Claims that her group isn’t certified, that home study’s done by them would’t be valid, etc. Sometimes cheapest isn’t always best! I then just went down the list and called the second person. Our talk went GREAT and I felt SO MUCH BETTER about working with Hope for Adoption. She was super nice and understanding of our distance from her (there is no home study group around our area) but yet was also the real deal. I printed off all the info from her to get to work on our home study requirements. And y’all. There are a TON. In reading over them I had a few concerns off the bat and did decide to call her back to discuss them. I was nervous about our pool being up to the safety measures they require but when I told her about our survival swim courses, privacy fence and chimed doors she said we met the requirements. My MAIN concern was about the letters of recommendation they require. They want at least one letter from each side of the family. Meaning someone from Zach’s family writes one and someone from my family writes one. I legit broke down crying when I talked to her about that requirement. Yes, I have relationships with some family but none that are close enough to really know my parenting on a face-to-face level where they could write such a letter. I’m thankful for the relationship I have with my dad but we hadn’t seen each other in almost a year and a half and he’d only met Tess at birth so it’d be a tough thing for him to write! I opened up to her about my concerns. Rejection is one of the main words I use in describing my feelings in relation to my family and I felt overwhelmed at the thought that the rejection I feel from parts of my family could also cause me rejection with this home study and ultimately baby. Cheri (from Hope for Adoption) was AWESOME and SO sweet and supportive and understanding. She let me know that just like Casey Z is on our team, she’s also another part of that team! She’s here for us, to support us, and to help us through the process. She said since I am so close with so many members of Zach’s family that having two letters from his side (and none from mine) would be perfectly fine. Whew. I felt a HUGE weight lifted after that talk! We also started knocking things off the list for the visit part of the home study. We bought locks for our private fence gates and ordered a large gun safe to store the guns we have that don’t fit in our smaller one. I started making copies of all the info needed that I already had at home (insurance proof, tax stuff, licenses, etc etc etc). But the MAIN thing we focused on first was our self study packets. The home study includes a self study portion for both the husband and the wife. It’s no joke. It was over 50 questions and each one required a lot of thought and time. I was BLOWN AWAY of my husband. I thought he might be frustrated or annoyed by having to do that but he jumped on it and started his well before I even started mine! He worked on it a lot throughout the day when he had down time at work and took time in the evenings to work on it as well. I never doubted Zach’s commitment to this adoption but his eagerness and seriousness about his self study portion really proved just how much he is invested in this process! We made it a personal goal to finish our self studies by the end of our beach trip the first week of July so we both worked on them throughout June. The first 13 questions were ALL related to upbringing, reflecting on parents’ marriage, current relationship with parents and siblings, things you do like your parents, things you do differently, etc etc. This caused me a good bit of anxiety and was tough for me to work through emotionally on a lot of levels. I am a LOT better in writing than I am in person when it comes to discussing tougher topics so I took the route of explaining circumstances the best I could in my self study packet in hopes that there would be minimal questions about it all when we met her in person. It was pretty therapeutic to write it all and get it all “out there.” Of course I worried about what kind of first impression that would make on her but it did make me grateful for the candid conversation we had on the phone because she knew what to expect before even reading it! At the same time as working on our self-study packets I also began putting together photos for our adoption book. 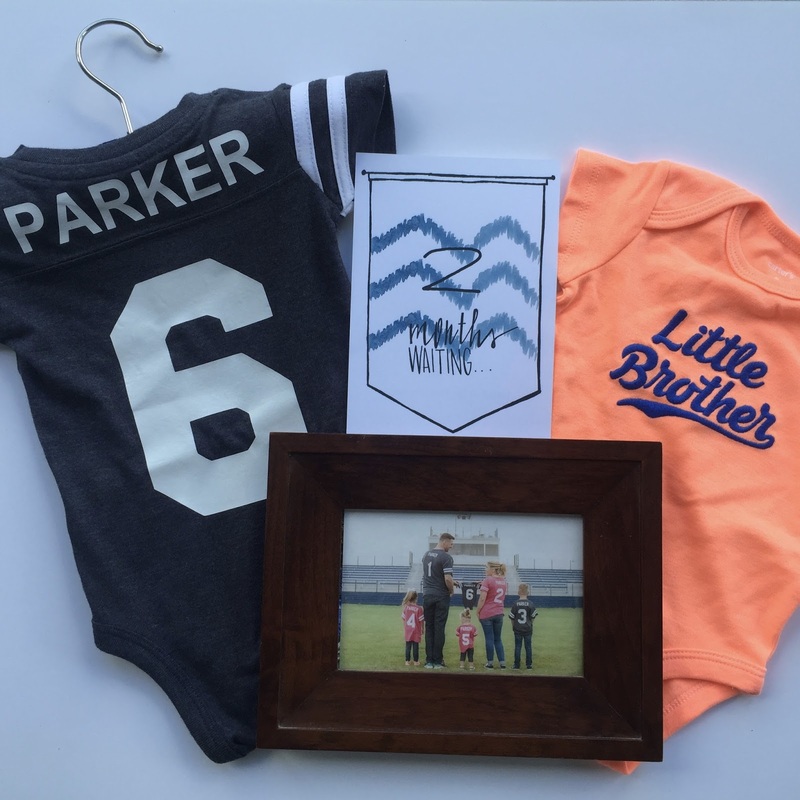 We selected the package with Christian Adoption Consultants that includes Casey Z designing our adoption book for us. Yes, it was an added expense. I know I’m a stay at home mom. I know I have a billion pics. I know I can put together a Shutterfly book like no one’s business. But this was WORTH the cost to us. This book is SO important and I know myself too well. I’d be a HOT MESS of stress trying to do it on my own. Casey Z knows what’s important to include, what info birth mama’s are looking for, what type of photos work best, and just how to word it all in the best way possible. I trust her more than I trust myself as she’s the pro! This book is what the birth moms will see when deciding who will parent their child…it’s CRUCIAL in this process! Of course the info from CAC regarding the photos asked for 80-100 photos total and it was worded in a way that sounded like that was tough for most people to come up with. I decided to only use recent photos – from the past year to present. I chose a few older ones (a wedding photo, a couple from football days, etc) but mostly just stuck within the most recent 12 months. Y’all. I cried several times in choosing the photos. Looking through just our past year through a different perspective took me aback. We’re so blessed. We have such an amazing life and amazing children and make the most fun, awesome memories. I’m not saying that to brag, I just felt so honored to get to live the life I’m living and so thankful and it just brought on so much excitement to add another child to our family. I can’t wait for those new, fun, exciting memories with him. We did not have to pay anything for the home study upfront, we paid her at the actual visit so we didn’t spend anything this month other than the costs of some of the parts of the home study (filing cabinet, locks for gates, gun safe). What DID cost us financially though was our plumbing issues. Plumbing junk got worse and worse and we spent $700 in one month on plumbers hoping to fix the problems. It was frustrating to say the least and such a big financial burden when we really didn’t need one! Encouragement: I really still felt very attacked by the devil, especially with the plumbing stuff. This month was a lot of recovery time for Zach from his surgery which took patience for us all. I felt pretty overwhelmed with all the focus on my family regarding the self study as well as the letters of recommendation. But God provided over and over again. He lead us to Cheri who was so comforting about my family situation! Also when one of the plumbers was over I made the comment that “man you know you’re doing something right when the devil attacks” and told him our plans to adopt and how right after we decided all this plumbing stuff happened. Guess what? He has personally adopted all of his nephews (I believe he had three) because his sister (their mom) has addiction issues and he didn’t want to see the kids end up in the foster care system. He said he got the youngest at 4 months old and that when they got him he tested positive for meth in his system. He’s 9 now and is totally and completely healthy. How amazing is that to have that chance meeting? For me to randomly decide to tell this plumber (in a string of different plumbers) about our adoption and for him to have such a personal experience? Thank you God for providing moments of reminders that YOU are in control and that YOU have this handled! Another really neat “God thing” has been in the works for years. I’ve posted about Babywise on my blog since I first read the book. There aren’t a lot of Babywise resources out there and I was SO PUMPED when THE Babywise Mom asked me to join a group of fellow bloggers who promote Babywise on our blogs. It’s been through that group that I’ve made MANY wonderful friends. One such friend is Elaine. Her blog is God’s Faithfulness Through Infertility. Her family has adopted three babies and has experienced the walk we are on. They have dealt with some withdrawal periods in their adoption experiences and have one child who is about the same age as Tess. We started talking and both set aside time to talk over the phone one night. It was an AWESOME conversation for me to have. To get to talk to a REAL person who has REAL hands on experience was such a blessing. She’s been a huge source of encouragement for me and helped me feel so much more at peace with potential concerns we could possible face down the road in this process. One of the biggest things I gained from our talk was the importance of Babywise. She talked a LOT about how much Babywise methods helped in the withdrawal process. I told Zach I couldn’t believe it! I mean it was just yet another way God has prepared us for adoption. Something I’m already so passionate about could really be a huge blessing to our baby in ways I’d never even imagined! Goals for the Coming Month: I had a good bit to get accomplished! Especially with it being summer and having the kids home and trips to pack for and a birthday party to plan 😉 My goal was for the end of our trip in July (July 9th) to be done with the self study stuff AND to have all the photos gathered and organized (we used Drop Box) for the adoption book. Doesn’t sound like a lot of stuff, but it was a BIG chunk of a time commitment! Prayer Requests/How You Can Help: Of course I’m still not caught up with these to current time yet, but I’ll get there! We appreciate every prayer and right now we’re praying for the home study process and to be approved soon! 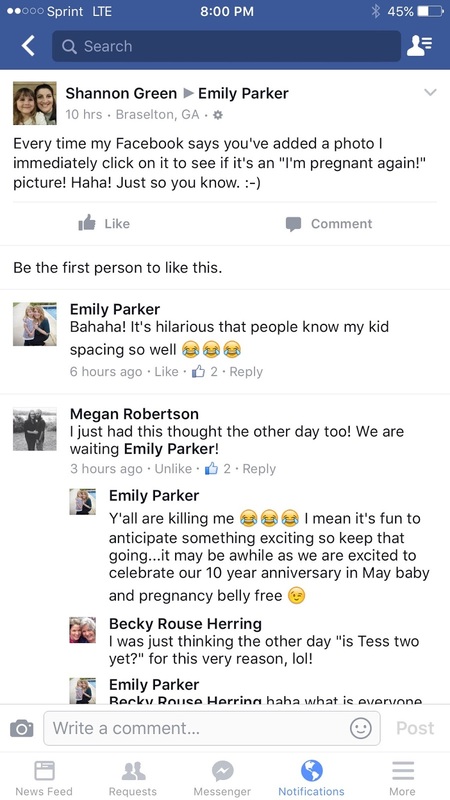 Previous Post Help Us Nickname Baby Parker!